Discover the magnificent minibeasts that call London’s Royal Parks home! Join Mission: Invertebrate for a day of bug trails, creative crafting and invertebrate missions galore. We'll be travelling around the Royal Parks and beyond to bring the learning to you. Each stop will be filled with activities for everyone! From April - October, Mission: Invertebrate will be on the road, visiting the Royal Parks from Greenwich Park in the east to Bushy Park in the west, giving you the opportunity to get close to nature and learn more about the wonderful world of invertebrates. As well as interactive story-telling, visitors will have the chance to get involved in a range of free creative activities focusing on some of the fascinating creatures found in the parks, from spiders, dragonflies and grasshoppers to worms, butterflies and moths. All activities are free and will be happening between 11am – 3pm. No booking required. All roadshow events will run 11am - 3pm unless otherwise stated. *Mission: Invertebrate are supporting existing events run by The Holly Lodge Centre in Richmond Park Tuesday 6 - Thursday 8 August. Please note that these events will run 11am - 2pm. Mission: Invertebrate reserves the right to cancel events due to poor weather conditions or unforeseen circumstances beyond our control. We are very excited to be working with fantastic storytellers who will be performing new works that explore the wonderful invertebrates living in the Royal Parks. 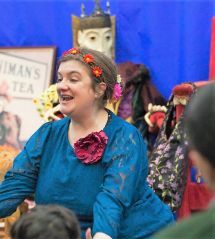 Olivia Armstrong is a storyteller who performs to all ages, spinning tales of wonder and magic. She is often found in museums and art galleries, as well as more unusual locations such as castles, ships, woodlands and rooftop gardens, telling myths, legends, historical tales and stories of the things around her – stories of the plants and creatures, buildings and people that fill our world. George is a highly experienced performer, composer and teller of tales. As part of London Dreamtime he tells musical stories for children and adults in all kinds of places! 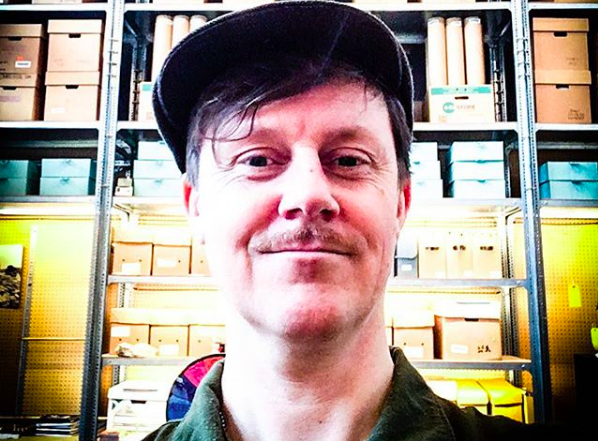 As well as regular schools visits, he has delivered storytelling projects and collaborations with the Southbank Centre, the Garden Museum and Southwark Cathedral. He has told family stories in all kinds of venues from Alexandra Palace and National Trust Sutton House to a steam hauled Pullman train ...and even on the London Eye! 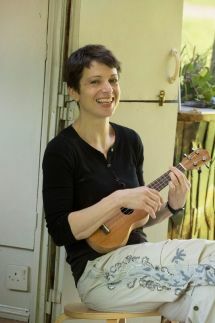 Vanessa Woolf tells stories that are real, exciting, magical and engaging from start to finish, often using props and music. She performs nationally and internationally, her many clients include the Royal Academy of Arts, Kew Gardens, National Geographic, Kensington Palace, Royal College of Music, V&A, Selfridges, Big Fish Little Fish, the Unicorn Theatre, the Conway Hall and many more. She has worked with Walker Books and Harper Collins to create literary festival workshops and has curated afternoon of family stories with Guy Garvey for the Southbank’s Meltdown Festival. The Royal Parks has lots going on throughout the year, view our What's On events calendar to find out what's happening across London's eight Royal Parks. For educational activities in Bushy Park, The Regent's Park and Greenwich Park, visit the Field Studies Council. For family events in Richmond Park, visit The Holly Lodge Centre. Mission: Invertebrate's learning partners are the Field Studies Council and The Holly Lodge Centre. We can't wait to see you in the parks this year. For a taste of what's to come, check out this video of our adventures in 2017.